Tie up your diamond accents in a neat little bow. This cute sterling silver ring features your choice of pavé-set colored diamonds in a fun, flirty design that's easy to dress up or down. 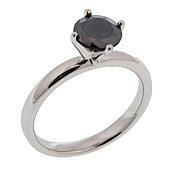 Small and dainty ring with wonderful sparkle from the champagne diamonds. Love it! 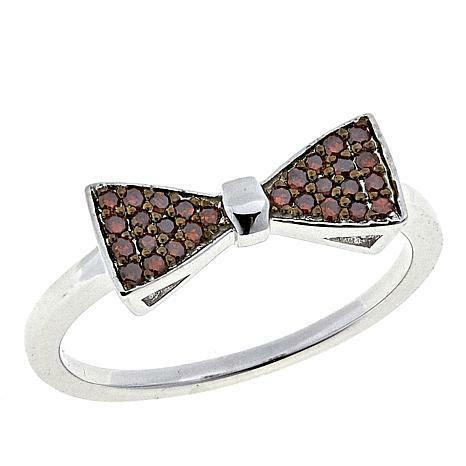 This little bow tie ring in just adorable. I bought it to wear on my little finger and it's perfect as a size 5. But it would also be perfect on my second or even middle finger. Just adorable... not too small but not too big. I've gotten a couple little rings in the champagne diamond color! Yummy! 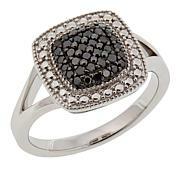 This ring is so small but so sparkling that everybody notices. 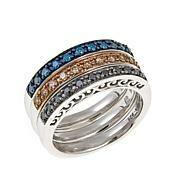 Beautiful, well made ring with gorgeous diamonds. I wear it day and night! Without hesitation can recommend to any ages. You will love it! I do! 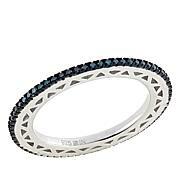 Such a pretty ring. It is exactly as I expected even prettier. THIS RING IS SO PRETTY. I PURCHASED 2 FOR MY GRANDDAUGHTERS. THE RED AND THE BLUE. THEY REALLY SPARKLE AND I AM SURE THEY ARE GOING TO LOVE THEM.